Please scroll down for more pictures. Almost a still life of Cabanas in the Algarve.We think this is a great picture for article writers especially about Portugal and the Algarve or just a great contemporary wall poster it just seems to convey something!Anything!Whatever you want! If you would like the PICTURE IN ANY OTHER FORM;Poster,card,calendar etc please use the email link above to tell me what you want and then leave everything to me.I will get back to you with a firm price first,before I do anything else.If it is very urgent then ring 0117 9683244 or text 07774 330634. PHOTOGRAPH-2ALGARVE LIVING & LIFE. Just around the corner from the previous graphic.These trees really went their own ways to quite dramatic effect,framing an older style algarve house in Cabanas,Tavira.This is on the walk down from our holiday apartments (see them on left naavigation buttons).Such a relaxing place,with its lagoon and stunning sandy beach.You get a little boat over the lagoon to one of the favourite beaches on the Algarve. Price: £2.20.Use the email link following to send me your email address so I can send you your download.kennethjefferies2@gmail.com. Please use Paypal below to pay.You will then be brought back to east-west-algarve to make sure you have given us all the correct information for us to send you your download. 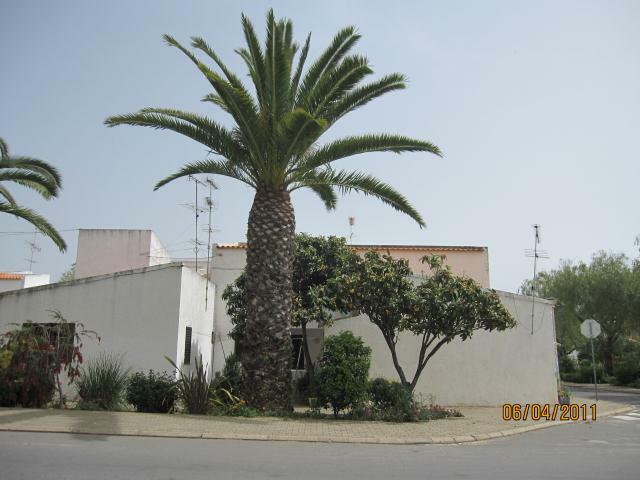 PHOTOGRAPH-2Life and Nature in Cabanas de Tavira.Down in Cabanas not far from the Lagoon and the golden sandy beaches is this great palm tree nicely shading a residential property.Perhaps shading is not a good word as palms do not have a thick enough crown to cast much shade but they do look tropical and magnificent.A nicely grown palm tree does give a luxurious and relaxing air. 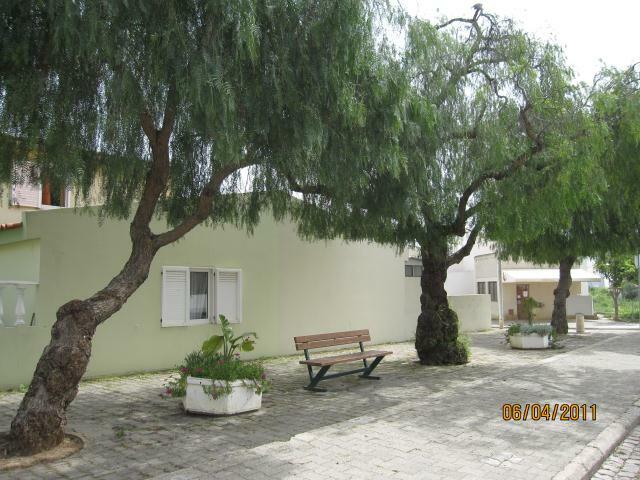 Great picture for writing about Portugal or the Algarve or Cabanas.Nice for a poster or a calendaor a welcome card.Plus lots of things you can probably come up with. Price £1.80 for standard download.Use paypal to pay and you will be brought back here to make sure you have left your details so we can email your download. If you would like the picture in any other form just use the email link above and tell us what you want and leave everything to us.We will get straight back to you with a price first;before we do anything . 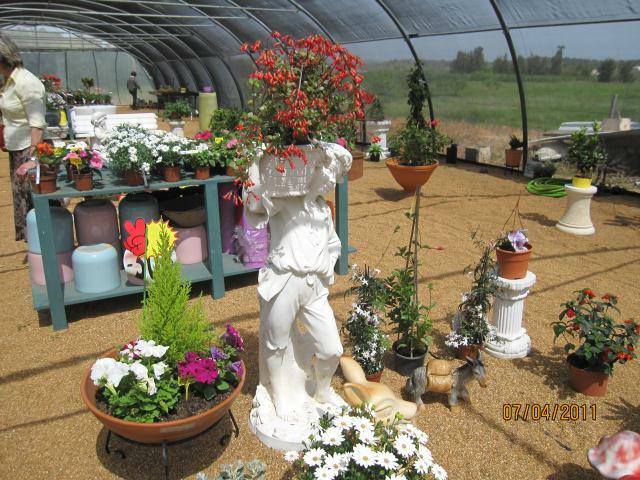 We often take a very pleasant walk from our rental apartments in Conceicao de Tavira to this little pottery and now it has a new nursery or garden centre.This was taken in march,so you can tell how much more advanced the plants are than they would be in the uk. 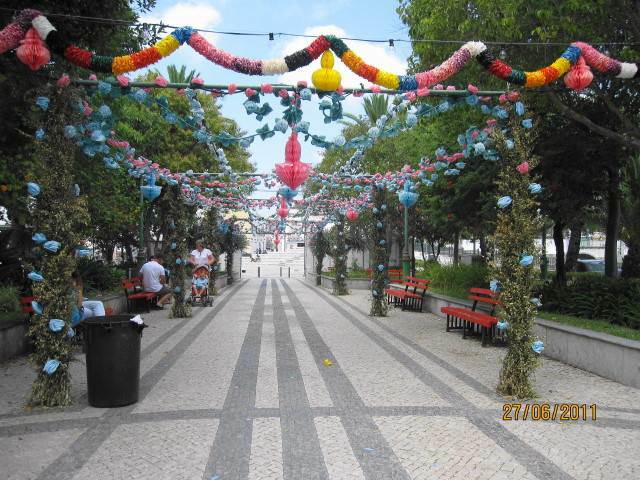 The colours of the flowers seem to be much more vibrant in the Algarve sunshine. It is a lovely 30 minute walk in the sunshine and then have a look around the pottery and sit in the cafe and have a nice cool drink and something to eat. A nice colourfull picture as a poster or for a card or calendar or for those writing articles on Portugal,the Algarve or East Algarve,Cabanas or Tavira. Price: £1.95...Please use paypal button to pay but use the email link to send me your email address so we can send your download..
.. kennethjefferies2@gmail.comWhen you have paid you will come back here to our thankyou page to make certain you have left your contact details correctly.The price is for a standard download. If you want the picture in any other form please use the email link to contact me;tell me what you require and then leave everything to me.I will get back to you with a firm price before doing anything. You are on our page PHOTOGRAPH-2 scroll to the top for the link back to our first page of pictures or pick it up on the top row of the blue navigation buttons. Why two photographs? I always take a number of shots and whittle them down to the one I think is best.I really could not make up my mind with these two.Both can be cropped to reduce the amount of road if you wish. This is the main market in Tavira.They sell everything to do with food here and most mornings it is very lively.I cannot say that everything is cheap here we have found some things to be really cheap and fish in particular can be extremely expensive. 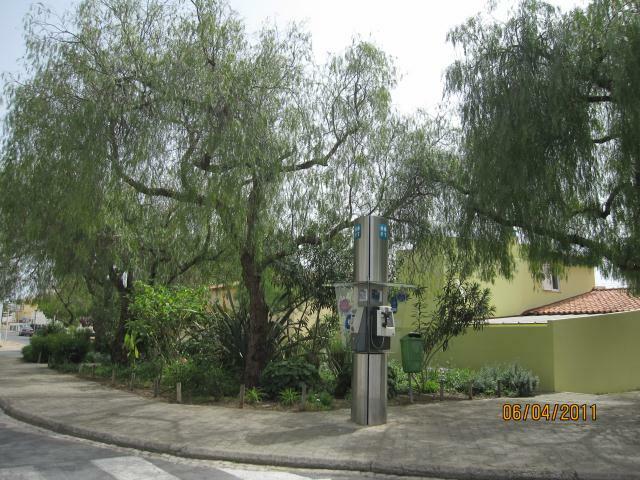 This picture shows you how Portugal a so say poor country provide pleasant areas in and around its built up areas.It does not matter where you go there is always this intention to make living as nice as possible.Even their rounabouts are decorated in a way that reflects what is around it.Often with statues;a statue of a golfer where the rounabout is by a golf course.You catch my drift? 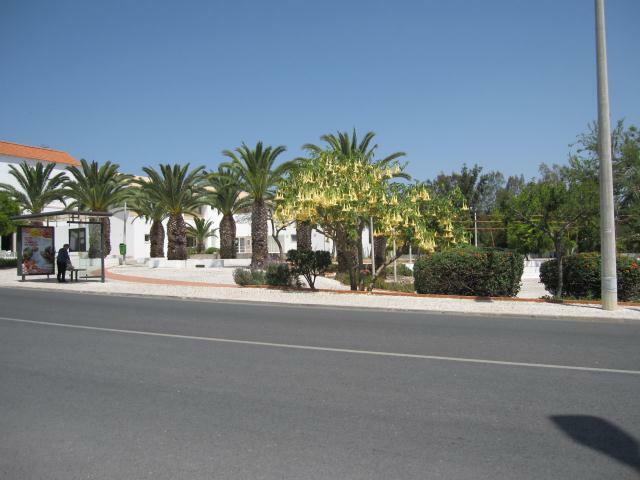 The Algarve is especially strong on its garden areas whereever habitation,either domestic or industrial has been infliicted on the lanscape. I guess this is because they rely so heavily on tourism.. In the united kingdom they work on the basis of greed.As many buildings per square inch as can be crammed in !I sincerely hope that being in Europe does not change Portugals attitude towards its people and visitors. If you want the file in any other format such as poster or a card etc.Please email me using the link above or telephone and leave/give instuctions for your recquirements and leave everything to me.You can be certain I will get you a price asap. We do not store your email adress to spam you later.That is just not our way! 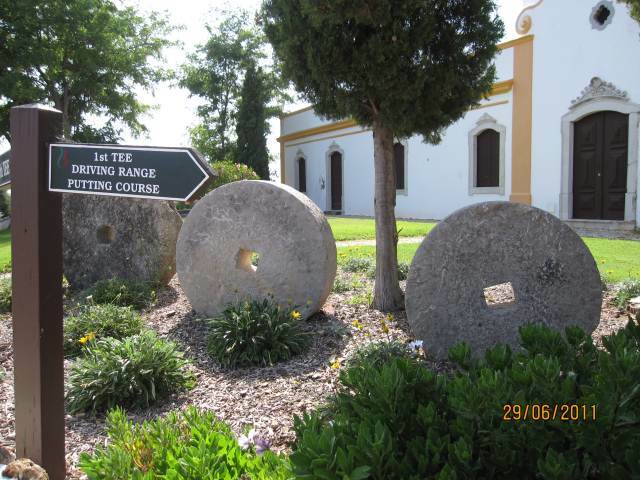 CHURCH,MILLSTONES AND DRIVING RANGEPhotograph taken on the picturesque Benamor golf course near Cabanas in the East Algarve.The church is not in use any more.I have to ask myself if there might have been a little village here before the golf course or did the residents of Conceicao where our apartments are situated walk the 1 km to this church. It is a lovely scene with the trees and the millstones and the sign pointing to the driving range.I think the picture has captured some of the atmosphere. Could be used in articles about churches or Golf courses or whatever you want! Price £2.20 for a standard download.Make certain you email me so I know where to send the file. Again if you want a larger version or poster or whatever,please use the email link above,to let me know. Tavira on the Roman BridgeRare PHOTOGRAPH-2 Image taken from on the bridge looking out over the river.This Bridge is known to date back 2000 years and it still looks fantastic and is totally sound.It is a real testament to the engineering mastery of the ancient Roman designers and builders. Notice the paving on the bridge itself.It is hollowed in the centre from aeons of foot traffic.Imagine how many people have crossed this bridge since it was finished by the Roman Engineers.I always think about this when I walk across the bridge and one can see the ages of people in different clothing walking over the bridge carrying out their daily lives.Ok,to be fair I do have a very well developed imagination and have always had a real fascination with the past.Most people nowadays seem to have a fascination with the future but for me it has always been history. 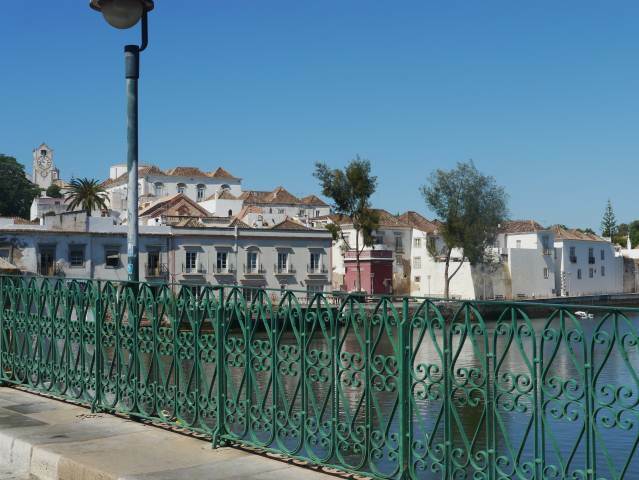 Tavira must be one of very few cities to still have Roman architecture still in daily use. It really is a privelege to trace the footsteps of so many different human beings.